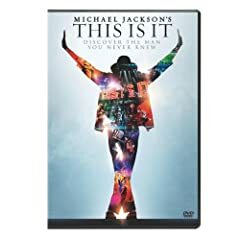 The Michael Jackson film This Is It captures the legendary artist's rehearsals for his final tour. Bright Star is out this week, an acclaimed biopic of author John Keats, as is Drew Barrymoore's directorial debut, the roller derby film Whip It. Of all the theatrical releases, I am most anticipating the Criterion Collection's Paris, Texas and Roberto Rossellini's War Trilogy , which collect's the director's Rome Open City, Paisan, and Germany Year Zero in one box set. The second season of Parker Lewis Can't Lose is the highlight in a slow week of television DVD releases. The film adaptations of Jane Austen's Pride & Prejudice and Ian McEwan's Atonement will beef up any literary film fan's Blu-ray library this week.